HealthRight CEO Scott Roix of the telemedicine company HealthRight pleaded guilty to felony conspiracy charges brought by the Department of Justice. Roix and the company also pleaded guilty to conspiring to commit wire fraud associated with a telemarketing scheme to sell dietary supplements, skin creams and testosterone to patients. Roix and the company were charged alongside several compounding pharmacies for a $1 billion fraud scheme in which the company assisted with a scheme to bill insurers for marked-up pain creams and marketed other useless supplements to patients. Federal prosecutors filed an indictment against four Florida men who own seven different compounding pharmacies. The executives — Andrew Assad, Peter Bolos, Michael Palso and Larry Everett Smith — were charged with deceived “tens of thousands of patients” and more than 100 doctors to defraud Blue Cross Blue Shield of Tennessee out of $931 million. The insurer ultimately paid out $174 million in fraudulent claims. HealthRight solicited insurance coverage information and prescriptions from patients across the country for prescription pain creams. Telemedicine physicians approved the prescriptions without knowing that several compounding pharmacies were marking up the prices of the drugs, which was billed to Blue Cross Blue Shield of Tennessee. Roix faces a five years in prison for each conspiracy charge. The other four pharmacy owners could go to prison for face up to 33 years in prison. The DOJ is also seeking a forfeiture of $154 million. 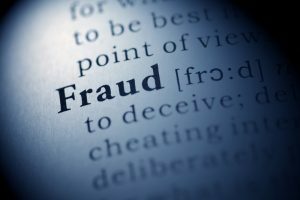 According to FierceHealthcare.com, compound pharmacies have been charged with massive fraud schemes over the last several years, including specifically targeting the military and veterans. A recent report by the Office of Inspector General flagged concerns about the industry, noting that it warrants further scrutiny from federal officials.